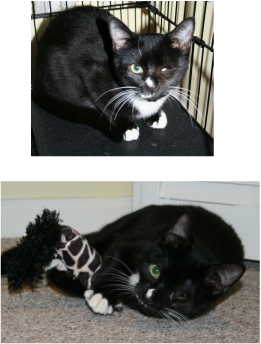 Captain Jack was found with a ruptured left eye. 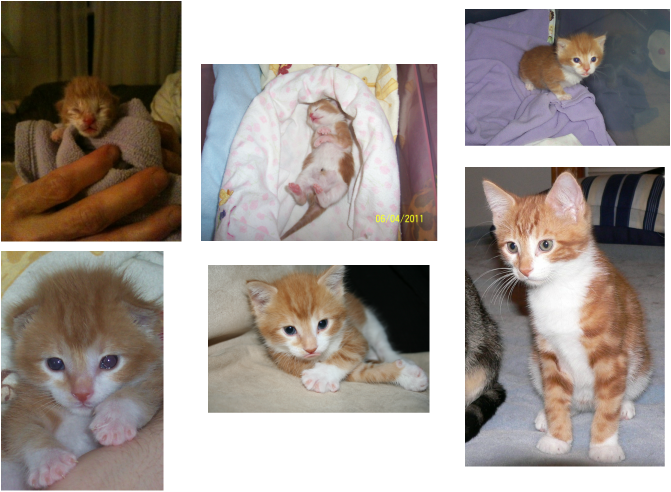 He suffered terrible pain for most of his short 5 months of life, until he came to BDRF. 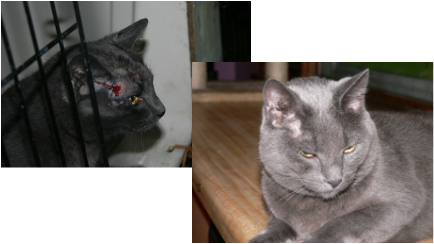 Through generous donations, he had surgery to remove the eye and close it permanently, which took away his pain. He is a JOY and loves life in his new forever home. These cats come from all over the community. We are often out late at night trapping and getting cats out of bad situations. The vet cost is one of our biggest hurdles, but the food, litter and misc costs (e.g. gas, cleaning products, beds, toys, etc) are also high. We rely on monetary gifts from people like you to stop the suffering. We have low overhead, unlike the national organizations, and almost 100% of your donation goes directly to the care of the animals. When we take in a cat or kitten they get the best care available. 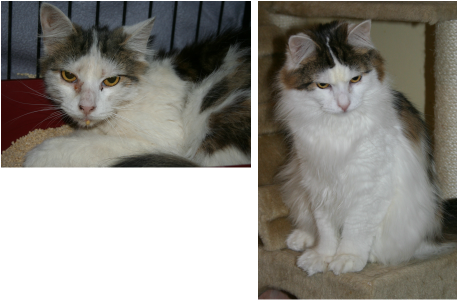 Each cat is tested for FIV/Leukemia, vaccinated, wormed, de-fleaed, checked for ear mites, spayed/neutered and examined. If the cat is injured and needs surgery we take care of it. We do not euthanize unless the cat is suffering from something that cannot be fixed or something that will take away their quality of life. Every cat is important; even the ferals get the help they need. 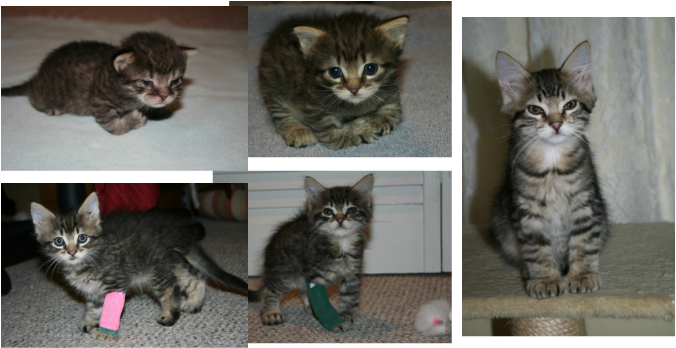 Each cat is evaluated by their foster parents and put up for adoption. 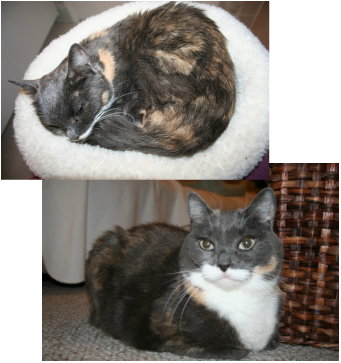 Through our adoption process we find the best matches possible and ensure the cat never becomes homeless again. They suffer unspeakable abuse. We help them to heal, physically and emotionally. We place them in loving homes. They are neglected, abandoned and forgotten. They come to us with injuries. We take away the pain. Help us, to help them.